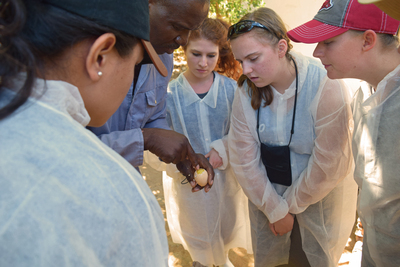 Some of the poultry group learning about fertility from the Hatchery Manager at Novos Horizontes. Rose, Zachariah, "Hands on Learning" (2017). Study Abroad Photo Contest. 72.